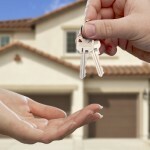 Have you been contemplating the purchase of your first home in Texas? 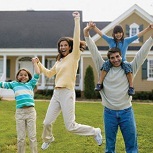 Would you like a free gift of money to help you purchase that first home? If you answered yes to these two questions, there is great news for you. The state of Texas provides free grant money for its residents who are the first time home buyers and need help with the down payment and closing costs. This money comes in the form of state grants. This is free money that shouldn’t be passed up! The grant awards can be in the thousands of dollars. It will be well worth your time to educate yourself about the grant programs that the State of Texas provides. 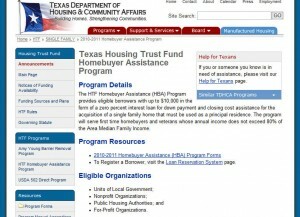 The agency in Texas that provides assistance is the Texas Department of Housing and Community Affairs. When the programs has funds available, you can get a cash grant of up to $10,000 to be used for down payment and closing costs. To find out more info about this grant program and when funding will be renewed, please visit the Texas Department of Housing and Community Affairs website page specifically describing all the programs. You can reach it at this website. 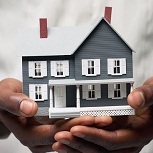 The HTF Homebuyer Assistance (HBA) Program provides eligible borrowers with up to $10,000 in the form of a zero percent interest loan for down payment and closing cost assistance for the acquisition of a single family home that must be used as a principal residence. The program will serve first time homebuyers and veterans whose annual income does not exceed 80% of the Area Median Family Income. 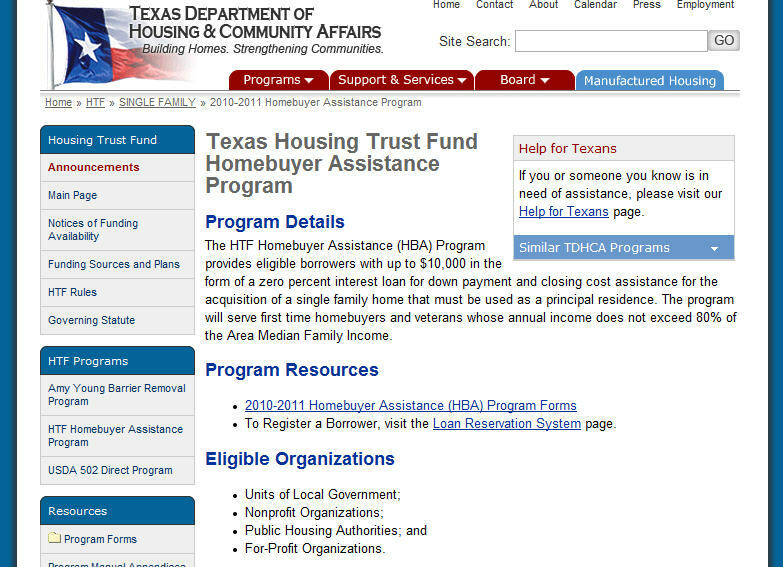 Besides the state programs, there are federal funds and grants available to the home buyers in Texas through the Homes and Communities program of the United States Department of Housing and Urban Development. On their website you’ll find complete grant information, printable application forms, description of available funds, as well as many other helpful tools. 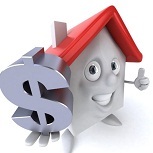 Every potential home buyer should investigate what they have to offer. You can visit the website by going here: US Dept. of Housing and Urban Development. Also, there is a website that has a complete list of all grant programs available through the United States Federal Government: Grants.gov. You should plan to spend the required time investigating to determine how many individual grants you may qualify for. You can visit the website by going to Grants.gov and using their handy search tool to locate more information. This entry was posted in First Time Home Buyer Grants and tagged closing cost assistance, down payment grants, Homebuyer Assistance, HUD grants, Texas Department of Housing and Community Affairs. Bookmark the permalink.